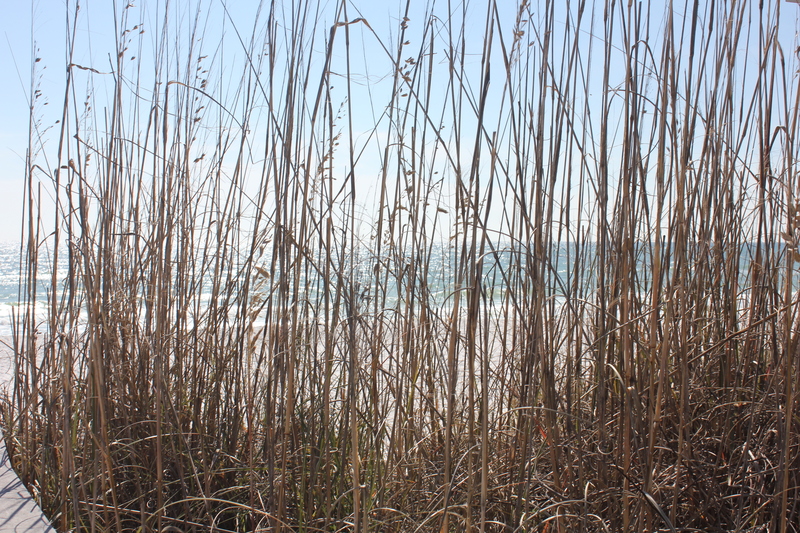 The waves seemed to sparkle in the sun…. Florida’s sunny beaches have been subliminally calling out to me to return. 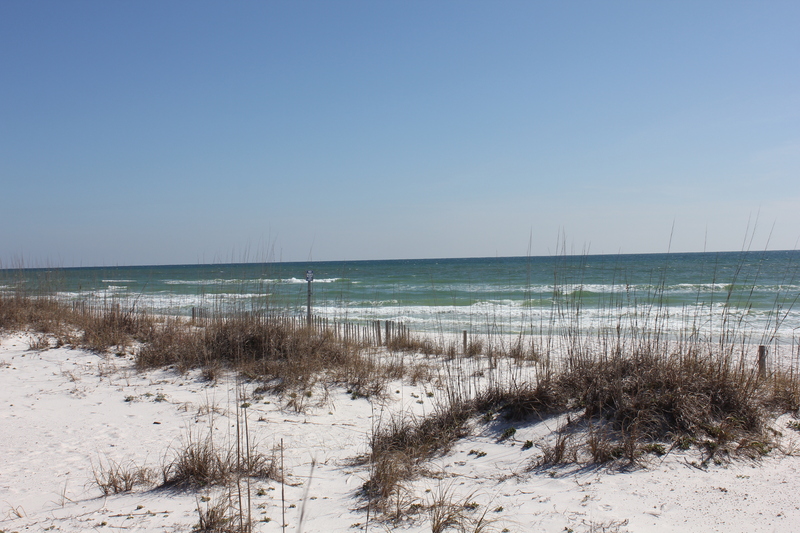 I decided after taking the “girls”, my young Border Collies, for a walk at a nearby Equestrian Center that we would take a quick drive to the Gulf Islands National Seashore, east of Pensacola Beach. There is a twelve-mile stretch of road that parallels the white sandy beaches, almost guaranteeing to sooth one’s harried mind. After passing the newest set of condominium towers, the multi-colored houses on stilts, the knickknack stores, restaurants and night clubs, I was finally able to enjoy nature unimpeded by civilization. On the north side of the island there are ragged dunes, grizzled trees shaped into weird positions from the battering winds, walking paths and bike lanes; on the south side are a few well maintained parking areas and uplifting views of not only the blue sky but miles and miles of the ocean’s aqua and white wave caps tipping onto the sand. The waves seemed to sparkle in the sun like millions of little Swarovski tipped crystals, mesmerizing me, bringing me back to myself. The tide always goes out, comes in, goes out and comes in, regular and finite. Yet the ocean’s reach is infinite. From my childhood living near the ocean in Maine, to Horseneck Beach in Dartmouth, Massachusetts, to Cannon Beach in Oregon and now here in Pensacola, the sea has always been a place of comfort for me. It makes me feel relaxed, in a meditative state, warmed by the sun, insignificant next to the vast sea but part of the whole, part of belonging to life on planet earth. I took a few pictures and left. 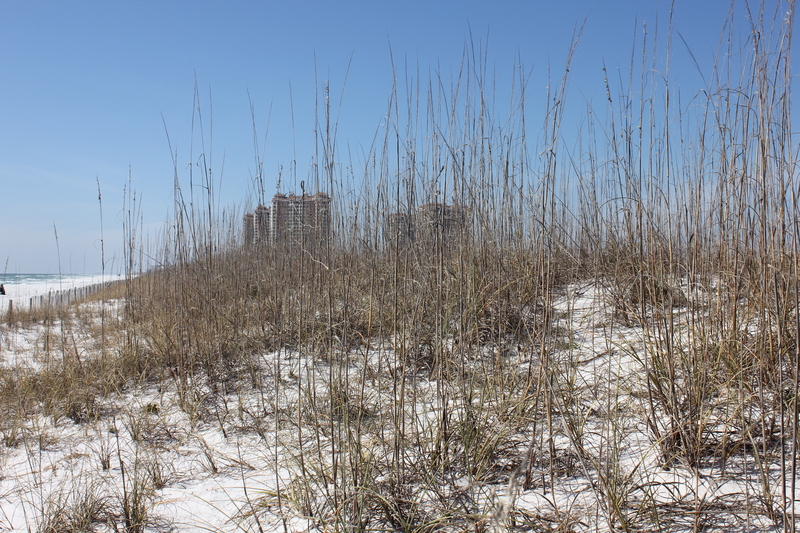 But I felt an overwhelming desire to someday soon explore Perdido Key, a beach further west but still a part of the Gulf Islands National Seashore. I need to go there without the dogs for a few hours, walk through the deep sand, pick up shells, dip my toes into the cold water, then stop and write in my notebook which I always carry in my red backpack, the cell phone off. Sometimes I need to find peace of mind, alone and relaxed, away from the pressures of life, before the storms roll in, figuratively and literally. 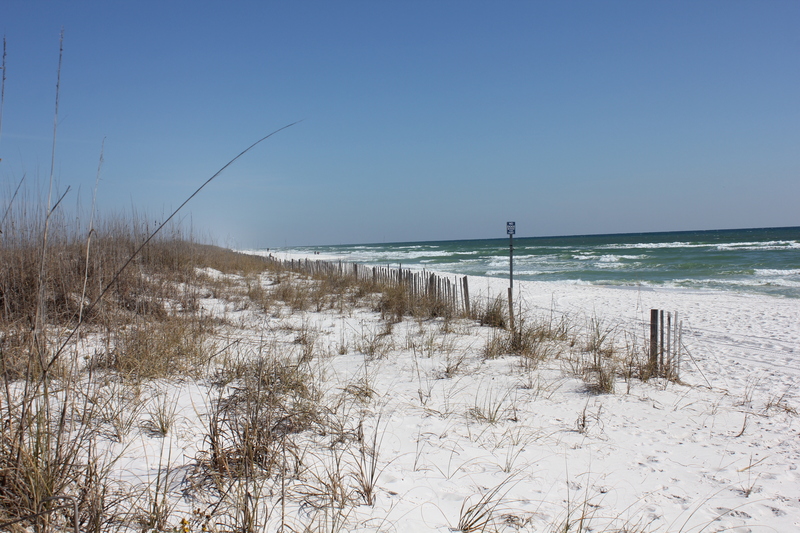 This entry was posted in Beaches, memories, Pensacola Beach, photography, Retirement Life and tagged Florida, Gulf Islands National Seashore, Pensacola Beach Florida, retired life, Swarovski. Bookmark the permalink. That beach looks so inviting, especially in comparison to the bleak weather we’re getting! We pay for it with hurricanes though, while you are then relaxing with good weather. It IS a beautiful and somewhat untouched beach. There is a small stretch of dog beach to the east. I found it. If it wasn’t so cold and windy I’d have had a photo session with the girls. Another time. There were no dogs around either.